Sacred rituals & healing sessions in Bali. 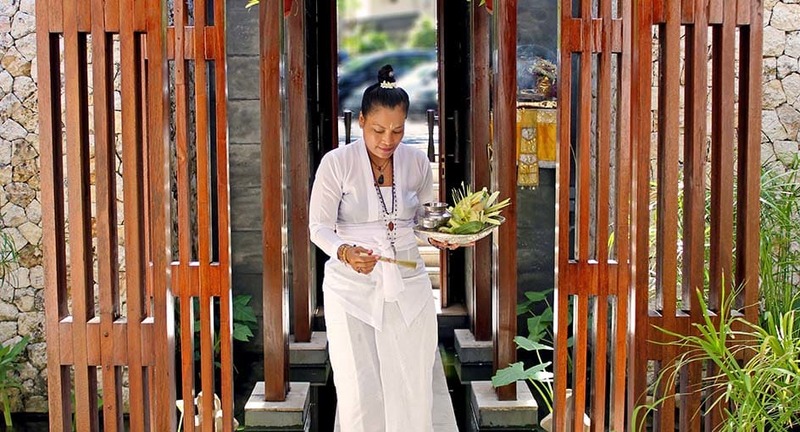 High Priestess Ibu Jero is the fifth in a family line of Balinese healers. She leads you on a journey of self-reflection and energy cleansing. Visit a scared temple near Ubud, bathing in a holy spring. Make merit with a traditional offering to the gods. Cleanse your chakras with Balinese reiki back at the resort.